Mossy Bench is a big treehouse in the middle of the woods close to Santa Cruz (California, USA) where you can relax or have romantic moments with your partner. 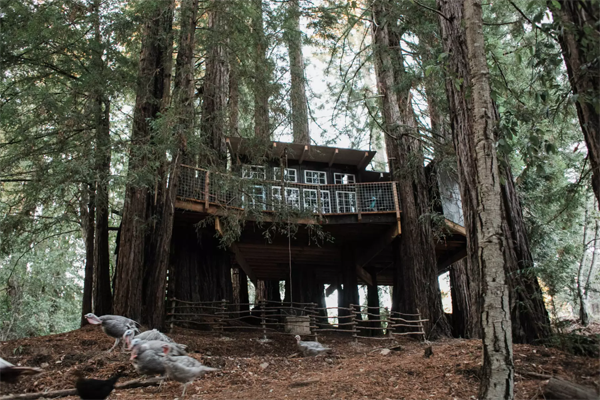 This treehouse “set up 14 feet high in a fairy ring of redwood trees is the ultimate romantic retreat: your very own king suite tree house. 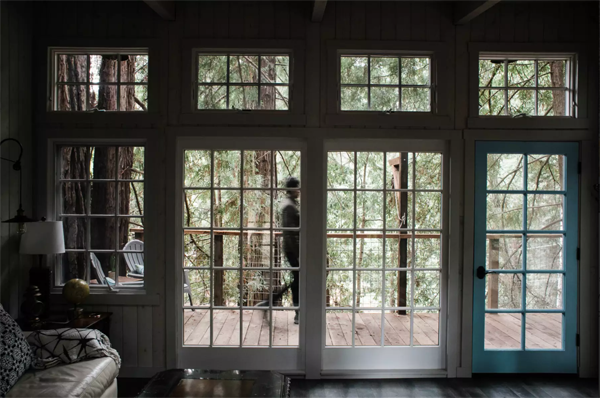 Built with your comfort in mind, the tree house features large decks for relaxing, a living room with a skylight to view the cathedral of tree tops, and a luxurious king four poster bed looking out over the trees. Your stay includes a “wake up tray” delivered to your hoisting basket daily, and a full farm breakfast served in the dining room or outside. We provide complimentary chocolates, sparkling water and fresh flowers. Soak in our hot tub, enjoy the pool or sit around our group campfire. Perfect for special occasions, honeymoons, stress free get aways, and romantic reconnections”. 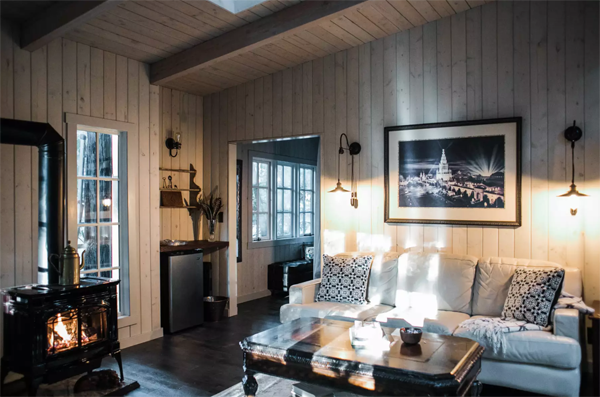 Inside the white walls create a big contrast with the outside dark wood colors, an interesting contrast that increases the elegance and the increases the feeling of relax. For further information check the Mossy Bench‘s website. Pics by Mossy Bench. All rights reserved.